Welcome into Signature Holes, our weekly look at some of the most fascinating, challenging and memorable holes in the Billy Casper Golf portfolio. 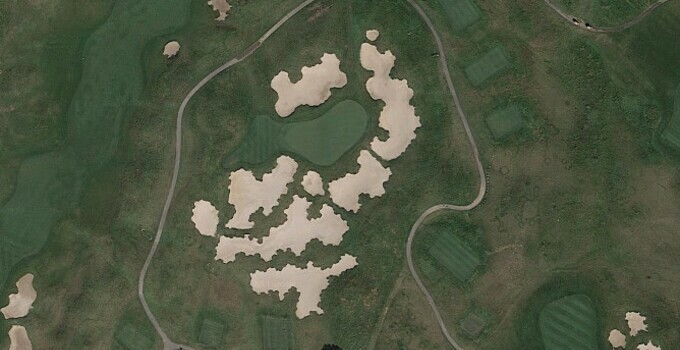 This week, we head out to Indiana and to Purgatory Golf Club, one of the newer facilities into the BCG family, but also one of the most unique and intriguing. In particular, the par-3 17th hole, named Hell's Half-Acre, piques interest from the second you step on the tee box. The vista? Sand and high grass, leading the player to wonder just how they're going to literally find the green that's just 173 yards away from the punishing Purgatory tee boxes. There's one true bail out spot, short and left of the green. Otherwise, it's likely a sandy landing place for your tee shot that misses the green. The hole favors a left-to-right tee shot, which can play off a knob in the middle left portion of the green. With the hole location in the very front of the green, that same knob can be a backstop off which the ball can come back toward the hole. The 17th is a gorgeous hole that messes with your mind a bit, but that's part of Purgatory's great challenge.